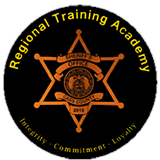 The Patrol Division coordinates all requests for Extra-Duty Deputy services. A fee of $45.00 per hour, with a two hour minimum, will be assessed upon completion of the requested duty. This includes an Extra-Duty Deputy Sheriff in uniform with an official Cass County Sheriff vehicle. Ten dollars of this hourly fee is retained by Cass County to cover vehicle and insurance expenses. The Extra-Duty Deputy will be insured for worker's compensation and any necessary medical costs that might arise from accidents. (816) 380-5200. This contact number is for emergency requests only. To request the services of an Extra-Duty Deputy, fill-out and submit the Extra-Duty application and agree to pay all service fees connected with the request in person at the Sheriff's Office. 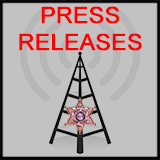 The Request for Extra-Duty Deputy form may be downloaded by clicking HERE. The form may also be faxed to you upon request or obtained from the Cass County Sheriff's Office during business hours. If you have requested on-going Extra-Duty Deputy services, you may fax any subsequent Extra-Duty requests and you will be invoiced for the service fees. Any amendments to the initial request must be faxed or hand carried to the Sheriff's Office. To ensure the safety and security of both the public and our deputies, each request is reviewed for sufficient staffing. We reserve the right to decline requests if the requestor does not agree to hire the appropriate staffing for the request. Twenty-four hours notice is required to cancel a request. A cancellation with less than 24-hours notice will result in a minimum two-hour service charge. For cancellations or rescheduling, call (816) 380-8320 during business hours or (816) 380-5200 after hours and weekends. For every three deputies requested, one supervisor (corporal or sergeant) is required. Staffing requirements will be reviewed and may be increased by the Patrol Division depending on the nature and circumstances of the request (e.g., size of expected crowd). 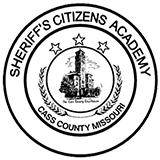 At any other assignment conflicting with established Cass County Sheriff's Office policies.